Tons of Creek frontage on Donkey Creek w/Grayling, Dolly Varden and Trout. Two runs of Salmon each year. Imagine catching Kin and Red Salmon out your back door. Access by Jet boat or snow machine. Take off from Skwentna/Yetna, land is 20 miles up river on Donkey Creek. Live the Alaska Dream! Own your own pice of Wilderness. High and Dry per seller. See supplement for more information. Location of Property: Outside of Willow is the Susitna River Boat Launch at Deshka Landing. 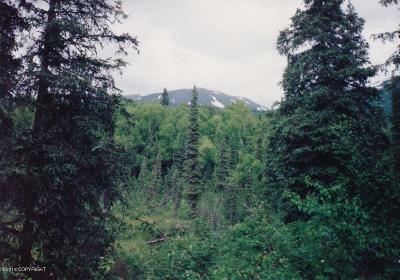 From there going south on the Susitna River it is 16.77 miles to the mouth of the Yentna River. It is 33.28 miles to Yentna Station Roadhouse and 61.43 miles to the Skwentna River mouth. 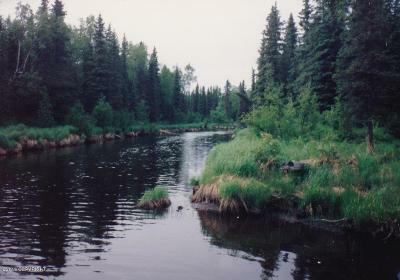 From the confluence of the Skwentna and Yentna rivers it is 3 miles up the Skwentna River to the Skwentna Airstrip. From the confluence of the Skwentna River and the Yentna River it is 13.45 miles by water to this property, or 10.76 miles as the crow flies. 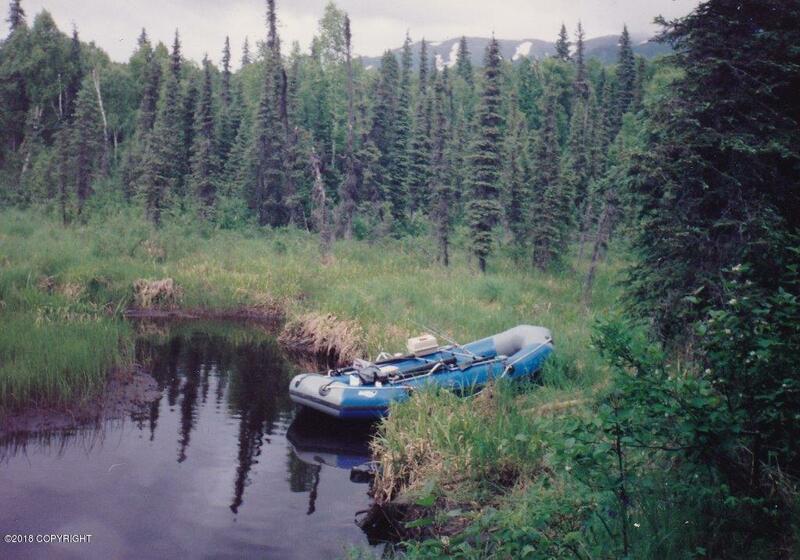 Estimated to be 75 miles by Jet Boat from Deshka Landing to this property. Seller believes there may be places to refuel now on the way.